Magnetic Shield Corporation has recently completed large-scale, shielding installations at two research universities. One was at the University of Illinois Champaign-Urbana Electron Microscopy facility in its Materials Research Lab (MRL), while the other was at Virginia Polytechnic Institute in its Carilion School of Medicine and Research (VTCRI), located in Roanoke, VA. Both installations involved equipping the research labs with the company’s specially customized modular MuROOM constructed with several layers of its proprietary high permeability MuMETAL electromagnetic shielding alloy sheet material for reduction of low-frequency DC and AC fields to the nano-Tesla range. 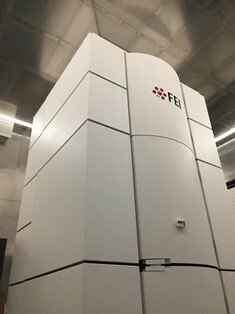 The project at the University of Illinois, whose Materials Research Lab is considered one of the world’s leading materials research centers, was constructed in segments during 2017-2018 to house a scanning transmission electron microscope used for scientific research. 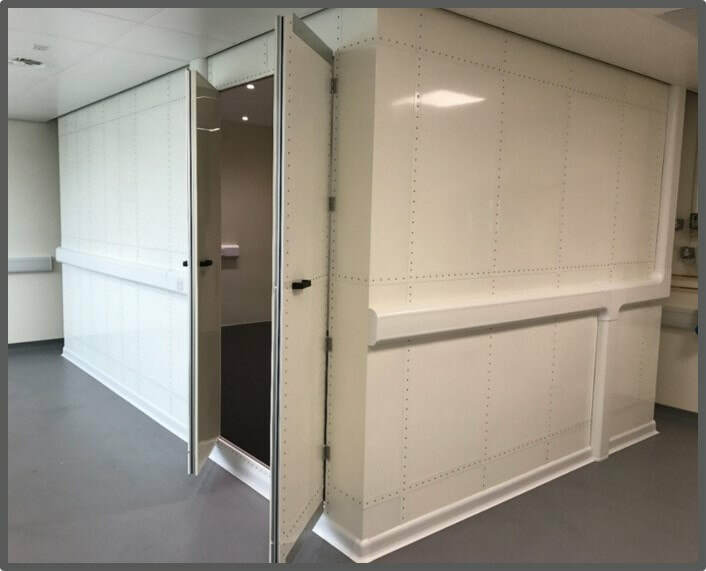 The new shielding room was built to meet the demanding specifications of the ultrasensitive microscope, using Magnetic Shield’s Perfection-AA annealed sheet which is designed specifically to meet low-field specifications. The sheet panels provides low frequency electromagnetic interference shielding in the range of 0-300 Hz. MRL is an extensive laboratory. It has one of the largest shared-instrumentation facilities in the nation, with over 100 advanced instruments for materials fabrication, processing and characterization, supporting the education and research of over 1,000 scientists and engineers. The lab provides 24/7 open access to its state-of-the-art instrumentation, including training on instrument operation, fabrication, processing, characterization, and analysis of samples as well as experiment design, even instrument modification if necessary. Now, research groups can perform tests inside the new MuROOM environment, which enables the research teams to reliably and accurately conduct sensitive scientific measurements. High resolution and atomic resolution imaging are achieved using precision instruments such as scanning electron microscopy, transmission electron microscopy and scanning transmission electron microscopy. The VTCRI project was completed last summer. Magnetic Shield Corporation built a modular MuROOM in cooperation with Magnetic Shield Ltd. UK to provide a degaussing coil system to meet the design specifications required by the VTCRI research team, who needed a working environment for magnetoencephalography scanning, sensing and experimentation. 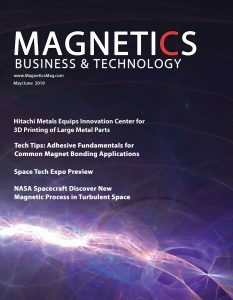 Based in the Chicago area, Magnetic Shield is a supplier and manufacturer of specialty and proprietary magnetic shielding alloys, custom shields, test chambers, cable products and shielding evaluation kits with worldwide presence across over 30 industries and markets of OEM manufacturers, serving electrical and electronic engineers, physicists, scientists and other technical experts. 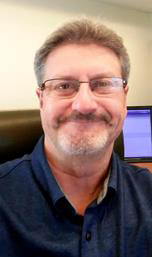 The company also provides technical consulting for national and government laboratories, research labs as well as scientific, medical and engineering universities globally. 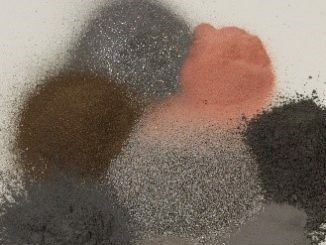 For more info, see www.magnetiic-shield.com.